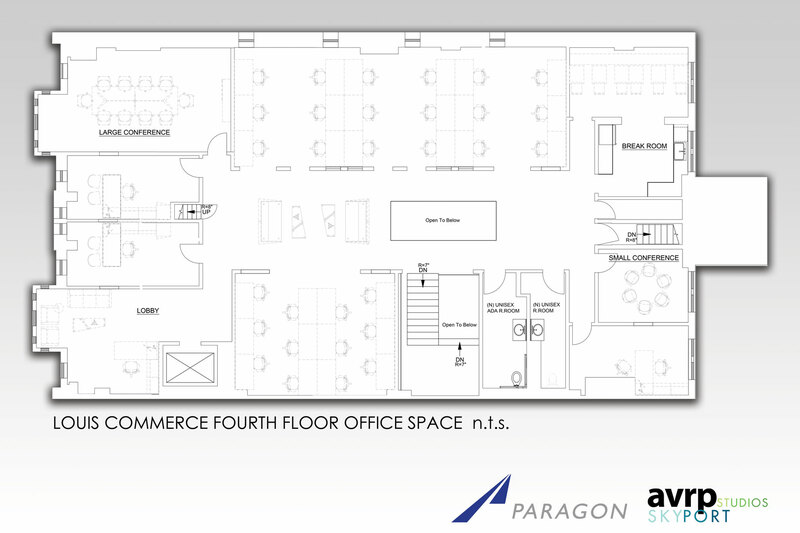 3,600 square foot renovation of the 4th floor office space in the historic Commerce building in downtown San Diego. 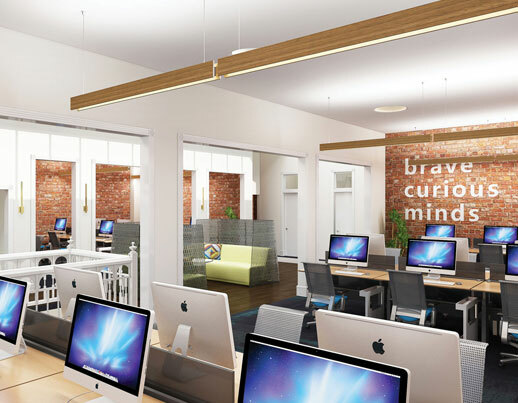 The office space design uses modern elements to showcase the unique original elements of the space, such as the red brick walls and the large skylight above the lounge area. The 600 square foot lobby has been divided into four areas that utilize floor area more efficiently. The entrance vestibule provides a secure entrance into the elevator lobby from which a new mail room and office branch off. 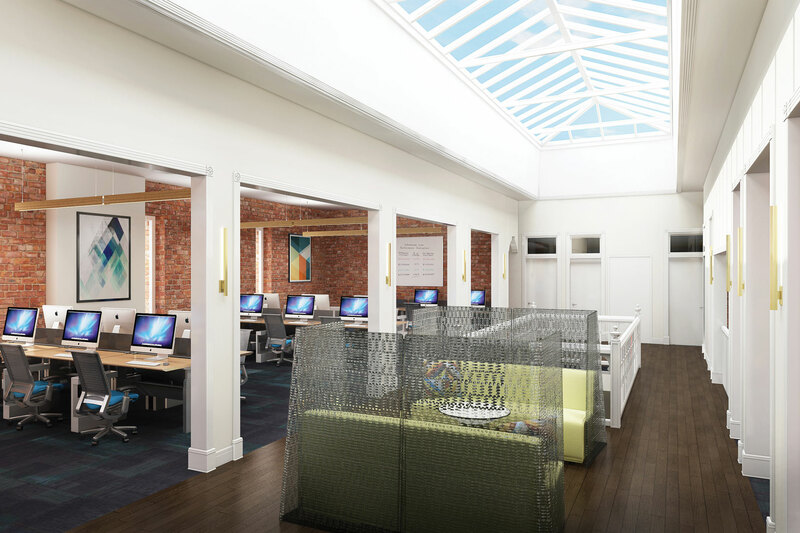 The new office space takes full advantage of the floor to ceiling windows which look out onto of the vibrant Gaslamp Quarter scene.